Did you know that no two snowflakes are ever identical? 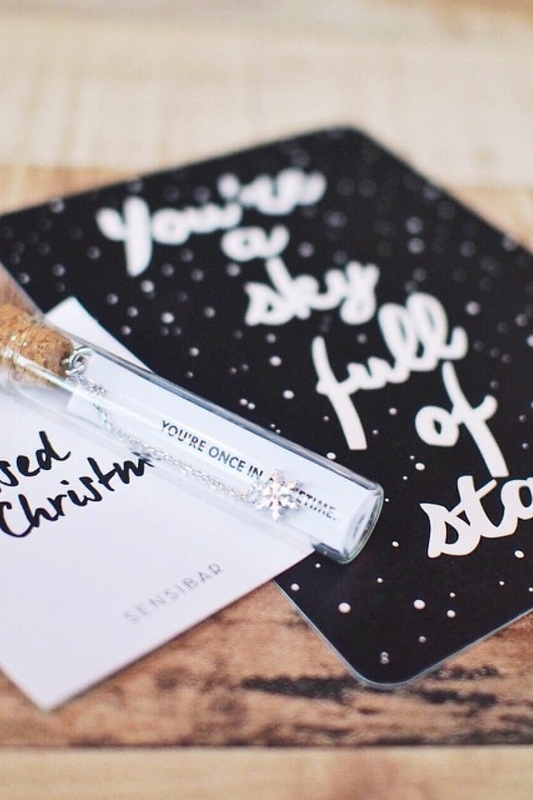 This Christmas, we celebrate individuality with the beautiful symbol of an intricate snowflake. 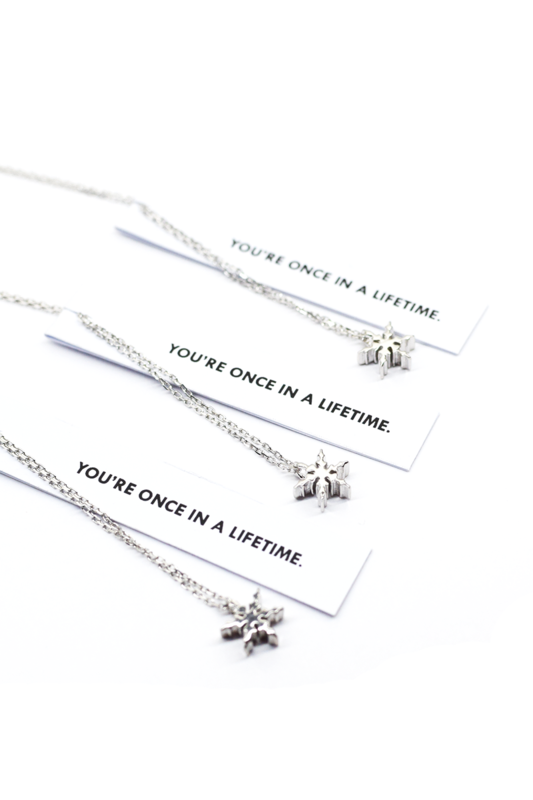 It is with much thought that we finally chose to tag our necklaces with "You're once in a lifetime". Our moments do only come once, but don't you ever forget that even YOU are once in a lifetime. 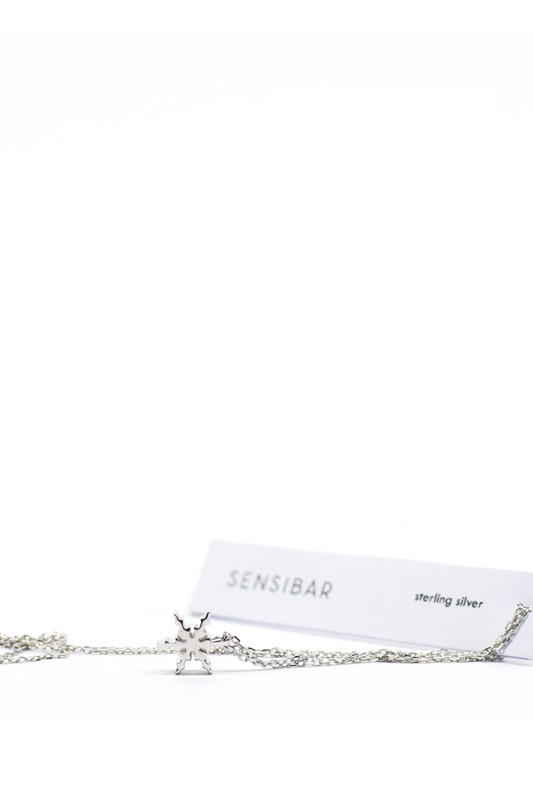 Our necklace stands out in its intricacy and solid form. 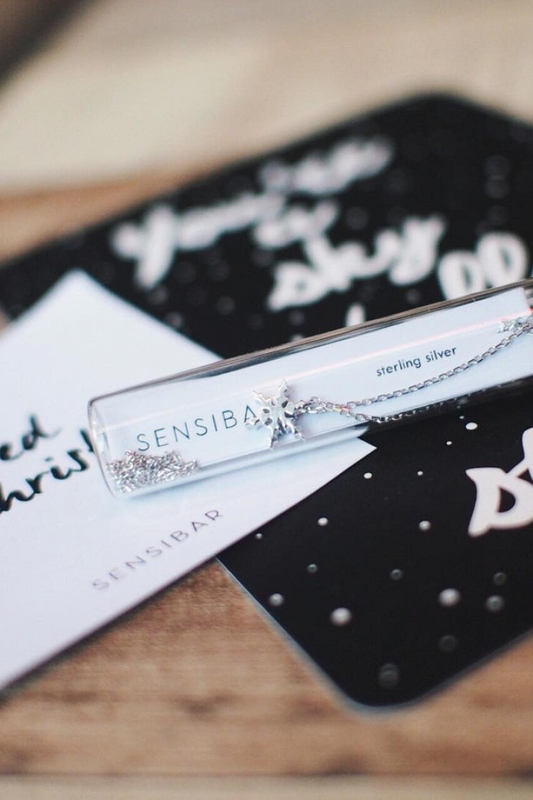 The snowflake charms are three-dimensional and absolutely shiny. 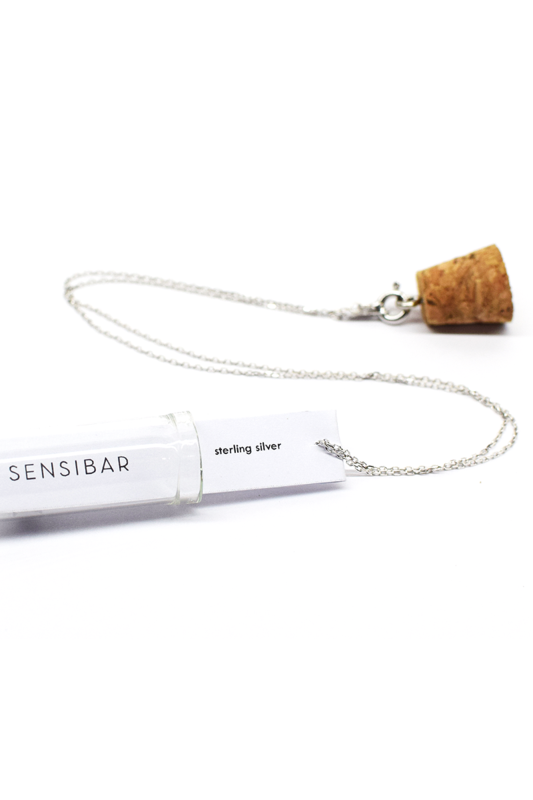 Completed with packaging in a glass tube (topped with cork) specially customized by Sensibar, these necklaces also make great gifts for encouraging your family, friends and even yourself. Store your jewellery in an airtight environment when not in use (Ziploc bags are a great choice! Protect your jewellery from all forms of cosmetics, perfumes, hair sprays and etc.